The number of Great Indian Bustards in Rajasthan has gone up from 11 to 31. The bird is one of the rarest in the world and is marked Critically Endangered by IUCN. It is currently found in only 6 Indian states of Rajasthan, Gujarat, Maharashtra, Madhya Pradesh, Andhra Pradesh and Karnataka. The number of Great Indian Bustards (GIB) in Rajasthan has increased from 11 to 31, as per the latest survey conducted in the Desert National Park near Jaisalmer. The bird is one of the rarest in the world and is marked Critically Endangered by International Union for Conservation of Nature (IUCN). 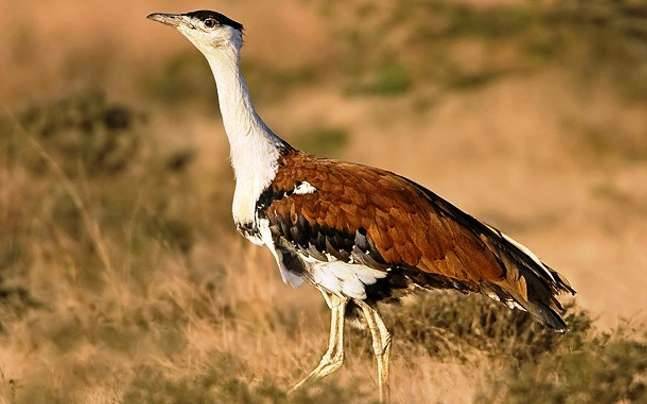 The last survey of the population of the Bustards or Godawan as they are popularly called in Rajasthan was conducted in 2015 when the numbers were estimated to be a critical 11. This year though the officers of the forest department say the numbers are 31, showing a 3 fold rise in the last three years. According to Puran Singh Rathore, an official of the Pokaran forest range, last year 6 of the birds had laid eggs, but this year that number has gone up to 11 birds. 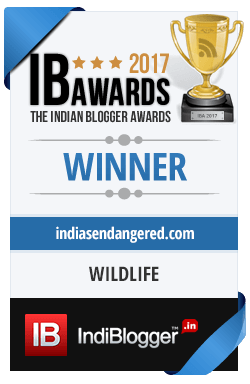 This itself is a huge success as Great Indian Bustards lay eggs on the ground in their grassland habitat and might abandon their eggs because of even the slightest of disturbances. Distinct in appearance, the bustard is large, brown-and- white with black crown and wing markings. Its males have whitish neck and under parts with narrow black breast-band, while females are smaller, with greyer neck and typically no or incomplete breast-band. 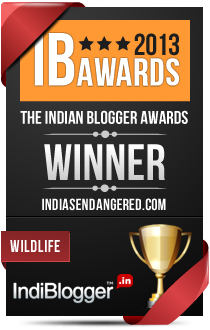 In India, the birds are currently found in Rajasthan, Maharashtra, Madhya Pradesh, Andhra Pradesh, Gujarat and Karnataka. There are 300 odd birds present today and the major threats to their existence are habitat destruction because of urbanisation, and hunting. There have been plans to start a breeding centre for the birds for some years now, but political pressures over which state the centre should come up, has only delayed the move further, increasing the risk of extinction for the birds. Last heard, the centre might come up in Kota soon. Read more about this here. The Supreme Court this week also approved development plans in the 93 villages located within the Desert National Park. This will allow the villagers some basic amenities like electricity and water. While the move is good for the people, hopefully, wildlife protection in the area would still be prioritised and crucial habitats of the bustard and other wildlife would not begin to disappear over pressures of development.